Maybe you’ve wondered about the spiffy purple hearse tooling around the streets of Knoxville with the Haunted Knoxville Ghost Tours insignia emblazoned on its doors, or maybe you just have a fiendish fascination with things that go bump in the night. If you don’t fall into either of those categories, then I’m telling right now to bugger off. Go listen to some Perry Como LPs, or whatever it is you do for shits and giggles on a dark and stormy night. This post isn’t for you. Because we’re here to talk about one J-Adam Smith, proprietor of the aforementioned Haunted Knoxville Ghost Tours, and a man with a fascinating story to tell. Settle in, and learn how Smith is more-or-less singlehandedly mapping Knoxville’s haunted history for all and sundry to consider. Knoxville’s own Venkman (that’s a Ghostbusters ref, in case you missed that one, bubba), Smith hails from the little burg of Leesburg, Fla., and that’s where he got his introduction to all things paranormal, an introduction that hit very close to home. At least, not until later, when the trouble started. In the coming months, Smith began to notice unseemly things happening at his cottage idyll — lights going on an off, of their own accord; faucets dripping out of nowhere; inexplicable cold spots in strange places in the home, normally placid pets coming unhinged at things that no one could see. The research helped, to a point. On at least one occasion, Smith says he was able to seemingly soothe troubled spirits by performing a ‘smudging ceremony’ — a series of arcane blessings performed with herbal sage. But it all came to a head one evening, with Smith home alone, when a sudden and eerie moaning set in, the sound of a terrible and nameless agony emanating unseen from within his own four walls. “I couldn’t tell much other than it was the sound of a human being, and it was coming from somewhere inside the house,” he says. “I hightailed it to my parents house, banging on their door in the middle of the night. Smith learned that evening that his parents, too, had been victims of an apparent haunting, at the first home he’d ever known, when he and his sister were but tots. “I’d had occasional flashbacks, of hearing things as I lay in my bed, and of my sister telling stories I didn’t understand. “It was the moment that I first realized I could do things to challenge the paranormal,” Smith says. Smith put the house on the market, taking care to perform a smudging ceremony before every showing, to keep the paranormal shenanigans at bay when prospective new homeowners were on premise. Two weeks after the home sold, Smith got word that the ceiling fell in. In the meantime, though, Smith’s outlook improved. He founded a local paranormal investigation group in Leesburg he dubbed “Cold Spots Paranormal.” He dove into more paranormal research. And he traveled. During his travels, Smith tells that he ended up falling in love with another little city to the north of his Florida home, a little placed called Knoxville, Tenn. 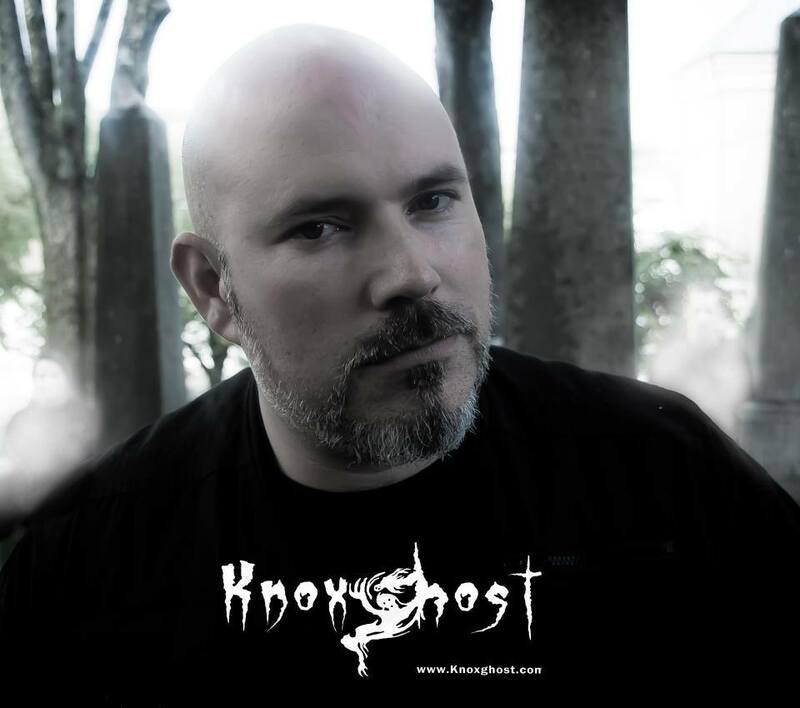 He moved here in 2008, and after working a series of jobs, he decided to combine his love of the town and its history with his fascination with paranormal research, and founded Haunted Knoxville Ghost Tours, a sight-seeing tour operation that has as its focus the city’s haunted history. “It all started with me being down at the East Tennessee Historical Society,” Smith says. “The more I researched, the more I marveled at how amazing and turbulent Knoxville’s history is. I like to say that it was kind of like the ‘Wild East,’ rather than the Wild West. Smith says that he did indeed find plenty of fodder for paranormal activity. “Lots of tragedy — the Civil War, Native American history, shootings — lots of what I call ‘unfinished business,'” he says. Some of Smith’s favorite Knoxville stories include the haunting of the Gay Street Bridge: according to lore, a man who was wrongly accused of murder was strung up and shot down around what is now the third light on the bridge. Legend has it the light has been plagued by the man’s restless, vengeful spirit ever since. Then there’s the bizarre story of a three-way homicide. Or the high-ranking military officer buried in secret behind his devoted troops’ backs. “I’ve uncovered something like 38 ground zeros in the downtown area alone,” Smith says, explaining that a ‘ground zero’ is a hotspot for activity, usually the on the site of a notable or violent historical event. “A ground zero is an area where trauma has happened,” he says. But don’t think it’s all just history and hearsay. Smith’s tours offer a distinctly hands-on experience. Armed with the tools of the trade — EMF detectors, spirit boxes, Mel Meters — Smith gives his clients a crash course in ghost hunting 101, then takes them on a tour of various of the city’s haunting hotspots. Smith is full of tales from his guided tours, of investigations that turned up ghostly EVPs (electronic voice phenomena — unexplained voices that turn up on playback of recordings in seemingly soundless rooms), of flashlights with minds of their own or of weird sensations in dark places. “I was at the Baker-Peters House in West Knoxville, which I consider to be one of the most haunted places in the Southeast,” Smith says. “I was descending into the basement in the dark, and all of a sudden, I felt a hand grab my leg. Contact J-Adam Smith through hauntedknoxville.net, or on Facebook at haunted knoxvilleghost tours.